Fall ECFE Class Registration: Registration for fall ECFE Classes begins on May 15th online. Information and registration forms can be found here. 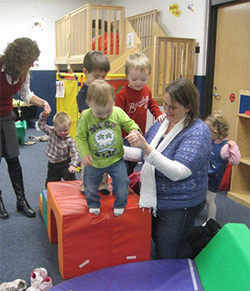 Early Childhood Family Education is a program for all parents and their children from one to five years of age. It supports parents, children's first and most important teachers, and offers children activities that promote learning and development. This class is designed for toddlers who are not quite ready to separate. 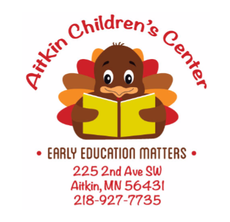 Sessions are offered for all families in the Aitkin School District. There is a sliding scale fee for classes, with fees waived for those who cannot afford them.